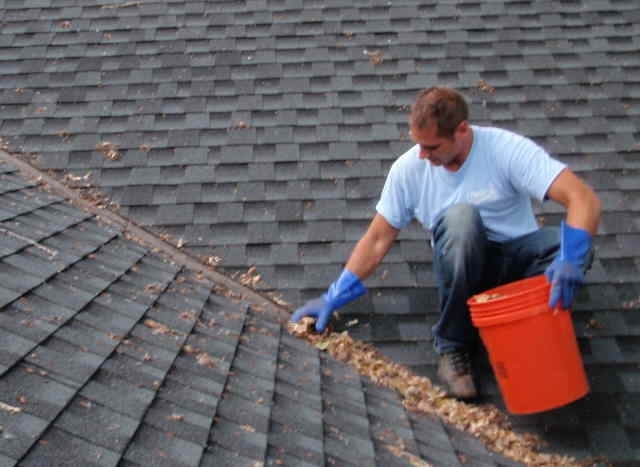 We carefully dig the debris out of your gutters by hand, then place it in a bag without making a mess on the ground below. We do this foot by foot with every gutter around your home. If your gutter's downspout is clogged, we unclog it by using a garden hose, and placing it down your downspout forcing the debris out. If it is too clogged to get loose by using a garden hose alone, we will take apart the downspout to unclog it. We pride ourselves on quality. And all of our work is satisfaction guaranteed. This includes our window cleaning and pressure washing services too! We are also fully insured for your total peace of mind. 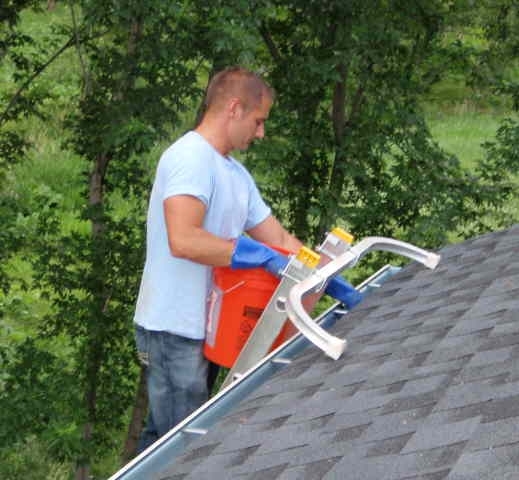 If you're looking for a quick zip-zap on to the next gutter cleaning job, our company isn't for you. But if you want a gutter cleaning you'll be happy with, one where you'll tell your friends and neighbors, then please contact us. Gutter cleaning is very inportant helping avoid a wet basement, and other water damage issues that are common when gutters get clogged. We stay booked up, so it's best to call early. You can check out our Facebook by clicking on this link! For a free estimate in writing, please call us at 612-723-7155. Thank you for your consideration.